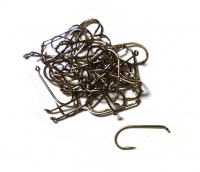 Fulling Mill Down Eye Dry Hooks, Specialist hooks for tying perfect dry flies, emergers, wets and nymphs, perfect for fishing close to the surface. 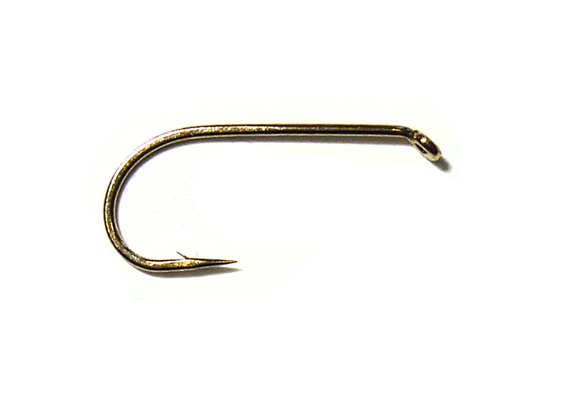 With its slightly larger gape for increased hooking potential and forged wire for strength, the Fulling MIll Down Eye dry Hook is one of the most popular all purpose dry fly hooks. Round bend, down eye, 3x fine wire, bronzed.